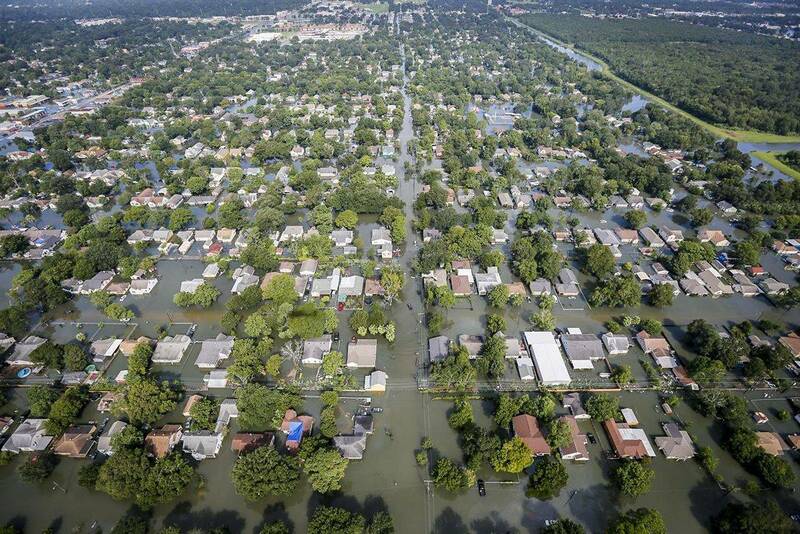 Hurricane Harvey's floodwaters in Southeast Texas, Aug. 31, 2017. School districts and advocates across Texas continue extending helping hands to districts severely affected by the devastation wrought by Hurricane Harvey. • Texas PTA has begun a “Fill the Backpack” campaign to help school districts restock supplies as they gradually reopen. • Books Between Kids, a non-profit group formed to provide books for children’s “home libraries, is collecting children’s books to help Houston-area young flood victims eventually restock their shelves. • The Texas Computer Education Association has established an “Adopt a Classroom” program that matches classrooms in the rest of the state with classrooms in need of supplies. The Texas Association of School Administrators has a list of other ways to help affected school districts. Kati Alley, a nursing instructor at Amarillo College, reached out to adopt a classroom. Alley was matched with a sixth-grade math and science teacher at South Park Middle School in Corpus Christi, who told Alley what school supplies were needed. All of the school's students qualify for free and reduced lunch because of poverty levels and many live with extended family, and the hurricane and evacuation-related expenses took priority over school supplies for many families, Alley said. "There's a lot to be said about pencil and paper and just going to school," Alley said. "To give them that sense of normalcy and that 'we're going to be OK' is important. This is the one thing that might be their normal." School districts in 58 counties across the Coastal Bend region near Corpus Christi to Southeast and Deep East Texas near the Beaumont-Port Arthur-Orange area have been affected in varying degrees of severity by Harvey, which devastated coastal communities when it made landfall as a Category 4 hurricane on Aug. 25, then brought historic rainfall and river crests during the following week to the Upper Texas Coast. The Texas Education Agency recently announced that affected school districts and charter schools could apply for waivers of up to four instructional days. In Houston Independent School District – the state’s largest school district with 213,000 students – district officials have said at least 75 of the district’s more than 280 campuses suffered major or extensive damage, resulting in the displacement of about 12,000 students. In smaller districts such as Hamshire-Fannett ISD in Jefferson County near Beaumont, floods wiped two of the district’s campuses and the remaining two serve as community shelters. Across the affected region, even school districts whose facilities didn't sustain major damage have had to delay start dates as much as two weeks. Some districts' reopenings are postponed indefinitely.